All donations will be used for shipping books. Please do NOT sign up for any tours that you have been selected for at another site. Many sites have to do a random draw for participants and you are taking away the opportunity for someone to read the book. Princess and heir to the throne of Thorvaldor, Nalia knows her role in life. 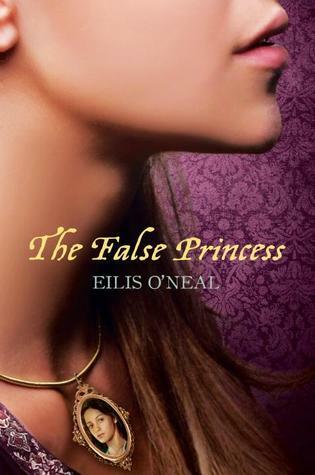 But everything changes when she learns, just after her sixteenth birthday, that she is a false princess–a stand-in for the real Nalia, who has been hidden away for her protection. Cast out with little more than the clothes on her back, the girl now called Sinda must leave behind the city, her best friend, Kiernan, and the only life she’s ever known. While struggling with her new peasant life, Sinda discovers that magic runs through her veins–long-suppressed, dangerous magic that she must learn to control. Returning to the city to seek answers, she instead uncovers a secret that could change the course of Thorvaldor’s history forever. To join this tour, please make sure you have the tour form filled out and comment with your name and state (US only). I'd love to read this one! This one looks great! I'd love to be added! I'd love to be added! Received THE FALSE PRINCESS on Wednesday the 23rd. I'd like to use 3 points and mail the book 2 days late. Thanks.